(Bloomberg) -- Fresh off defeating a hostile takeover bid, Canadian oil-sands producer MEG Energy Corp. is slashing capital spending and reviewing the makeup of its board. The company will spend at least C$200 million ($150 million) this year with an additional “discretionary” budget of C$75 million that could be deployed if market conditions improve, Calgary-based MEG said Tuesday. It had forecast a 2019 capital plan of C$500 million in October. Rival producer Husky Energy Inc. abandoned a C$2.75 billion offer for MEG last week, citing its failure to win enough shareholder support and the deterioration in Canada’s oil-sands industry, where a lack of pipeline space has hammered prices and prompted Alberta officials to mandate production cuts. With Husky out of the way, MEG is focusing on increasing cash flow, trimming debt and eventually expanding output. “For an initial re-engagement with the Street coming out of the hostile takeover process with Husky, we believe this strikes the right chord,” Chris Cox, an analyst at Raymond James Ltd., said in a note. Investors will be encouraged that the plan still advances MEG’s expansion efforts, while being funded out of operating cash flow, Cox said. MEG shares fell 3.2 percent to C$5.09 at 10:33 a.m. in Toronto amid a decline in the broader market and a drop in crude prices. The shares advanced 50 percent in 2018. MEG said Alberta’s mandated output cuts will hold its production to an average of 90,000 to 92,000 barrels of oil per day in 2019, although it has capacity to reach 100,000 barrels. The company also is maintaining a target of boosting output to 113,000 barrels a day in 2020. “As the temporary production curtailment eases and as pricing stabilizes, we have the ability to layer in additional capital,” Chief Executive Officer Derek Evans said in the statement. 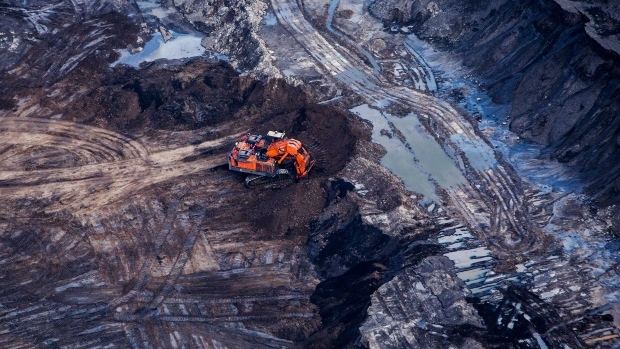 While the announcement didn’t mention Husky’s failed bid, MEG did say that it’s beginning a “board renewal process” to ensure it has the necessary leadership “to steward the ultimate potential of the company going forward.” It’s also hired a financial adviser to look at monetizing its HI-Q partial-upgrading technology, which saves money by allowing oil-sands bitumen to flow through pipelines without the addition of diluting agents. --With assistance from Kevin Orland and Scott Deveau.